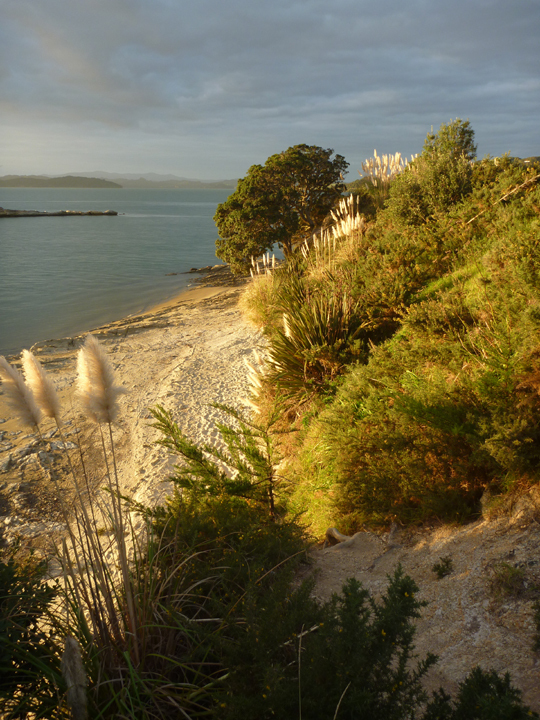 As our final week in New Zealand began we entered one of our most interesting camping locations – Aroha Island Eco Park. 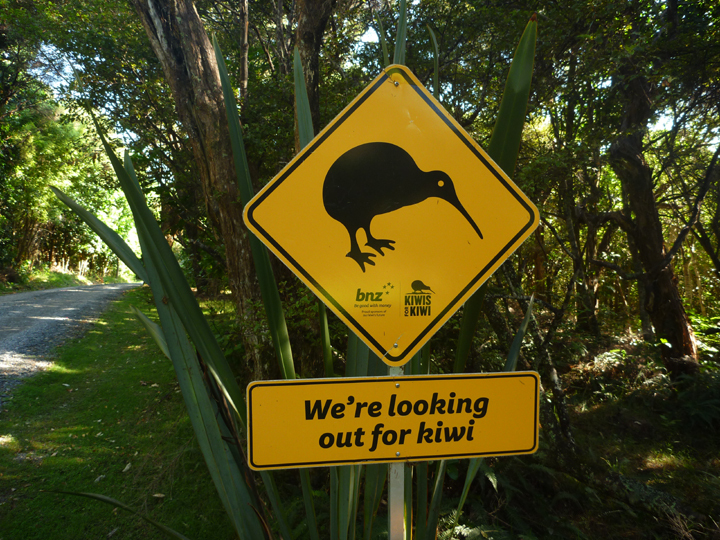 This natural haven offers a wide diversity of New Zealand plants and birds including the rare North Island Brown Kiwi. 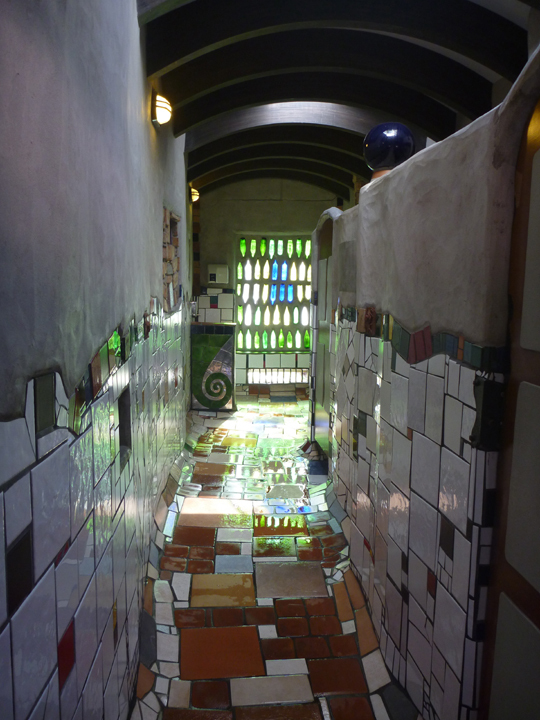 But first… we had to stop to visit the most unusual tourist attraction in New Zealand: The Hundertwasser Toilets in KawaKawa. 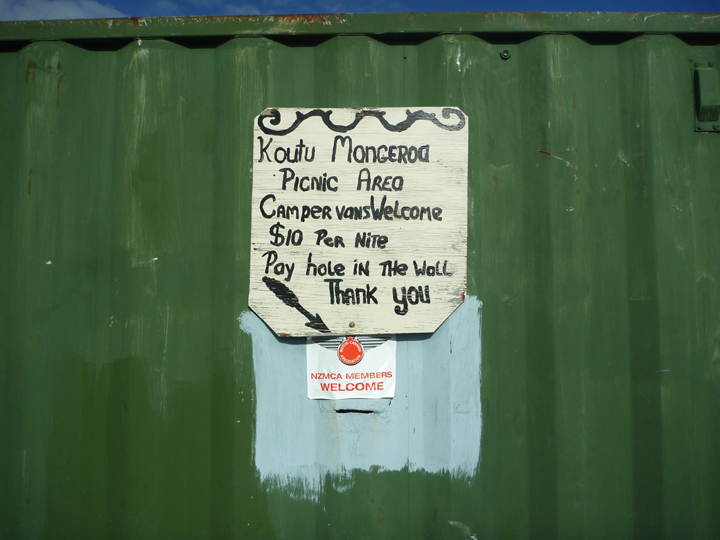 It is one of few toilet blocks seen as an international work of art. 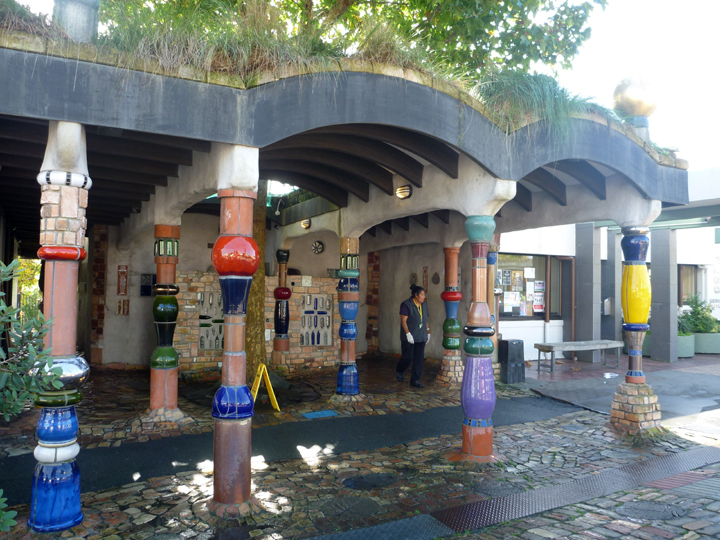 The facility was designed by the expatriate Austrian artist Friedensreich Hundertwasser who lived in Kawakawa from 1975 until his death in 2000. 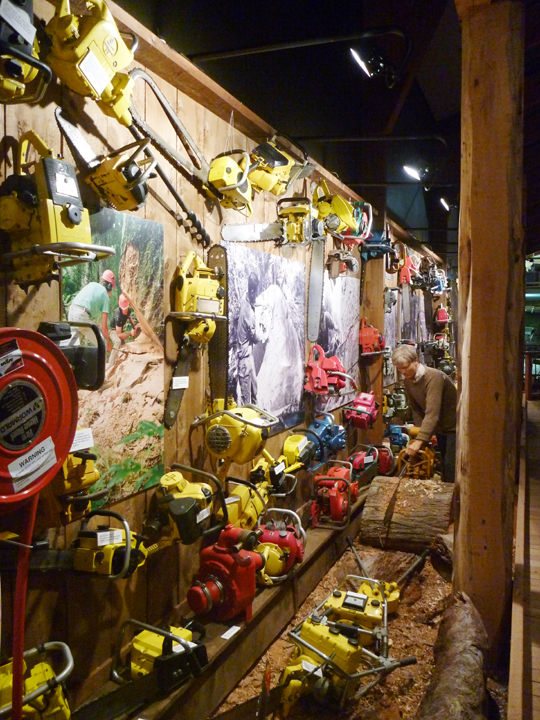 It features the use of various recycled materials collected from the local community. 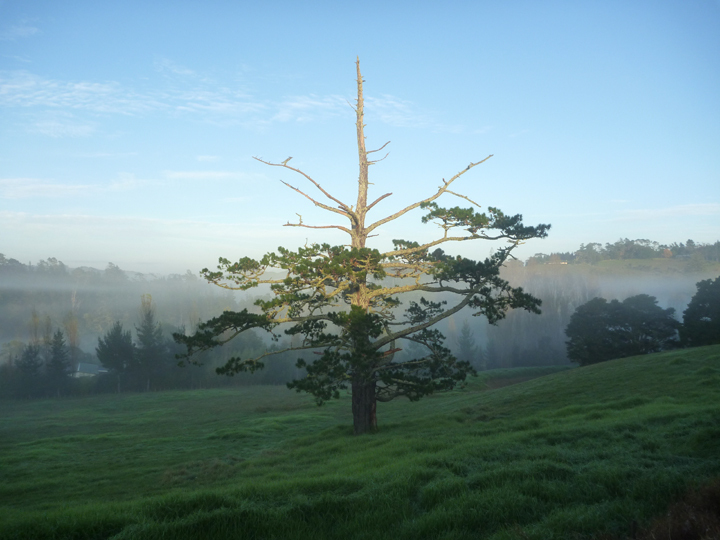 Kawakawa didn’t have much else of interest to us, so after a brief stop, we continued on our route up and around the Far North. 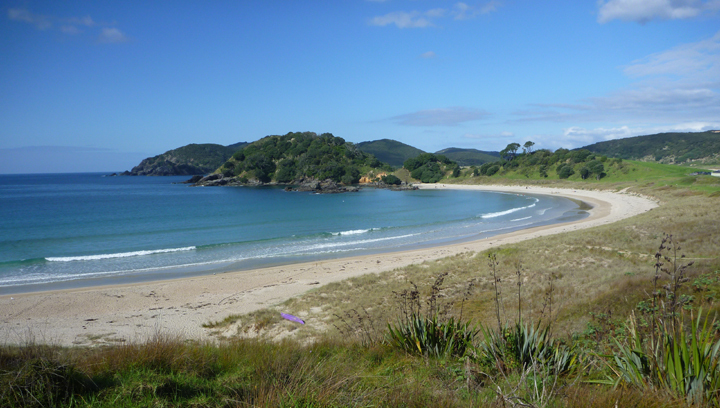 Aroha Island has a small resident population of New Zealand’s national bird. Waterside camping site. LOTS of bird activity here, although I didn’t photograph any (sorry)! 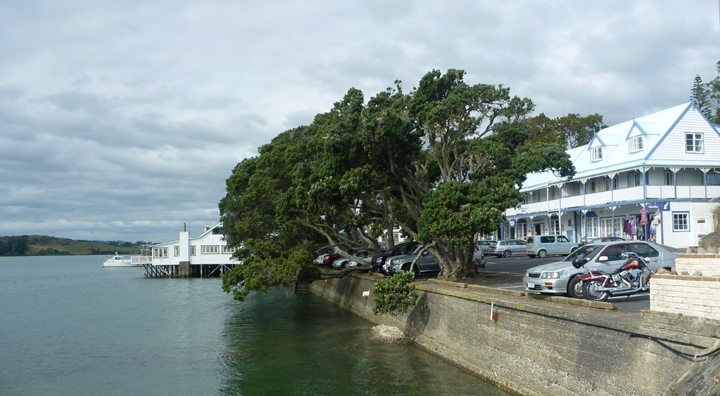 The historic fishing village of Manganui sits near the top of the North Island on Doubtless Bay. They were mighty tasty. 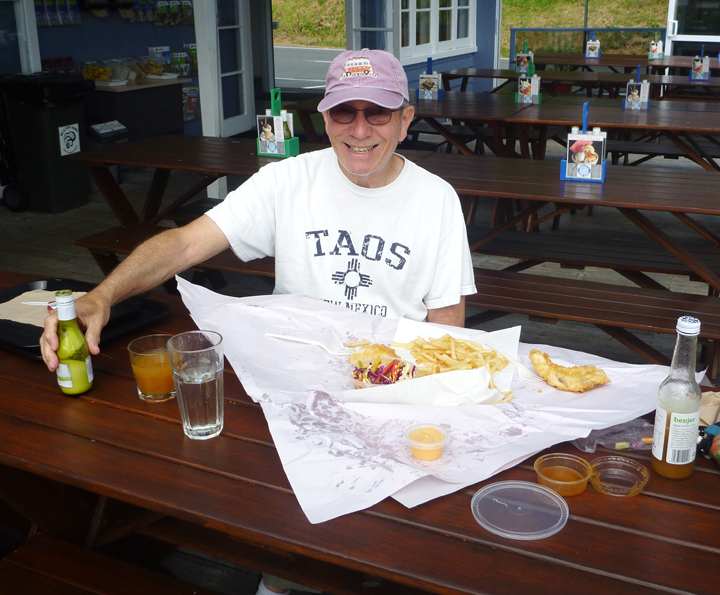 The veggie slaw was the real stand out offering though (imho). 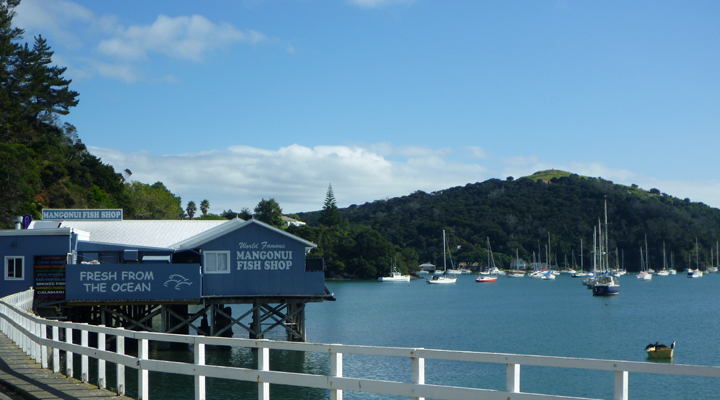 A short scenic ferry ride across Hokianga Harbor was part of our journey south on the Northland’s west coast. Not a bad place to camp for $10 a night. Just don’t visit the long drop. 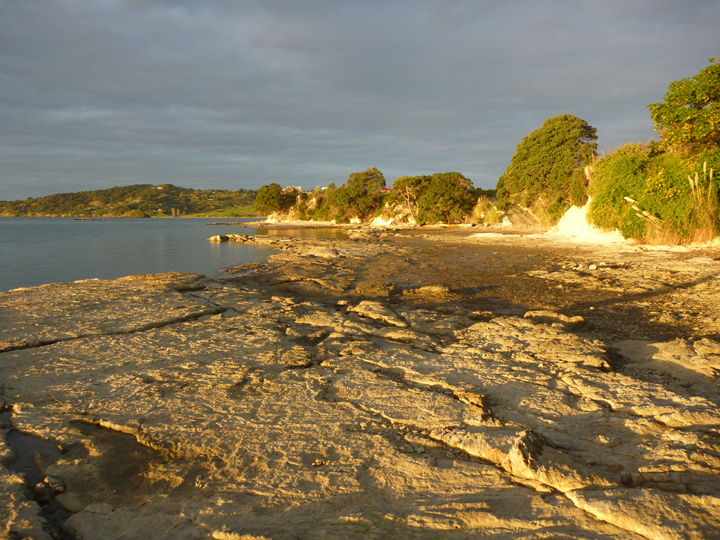 Nearby beach features limestone formations. 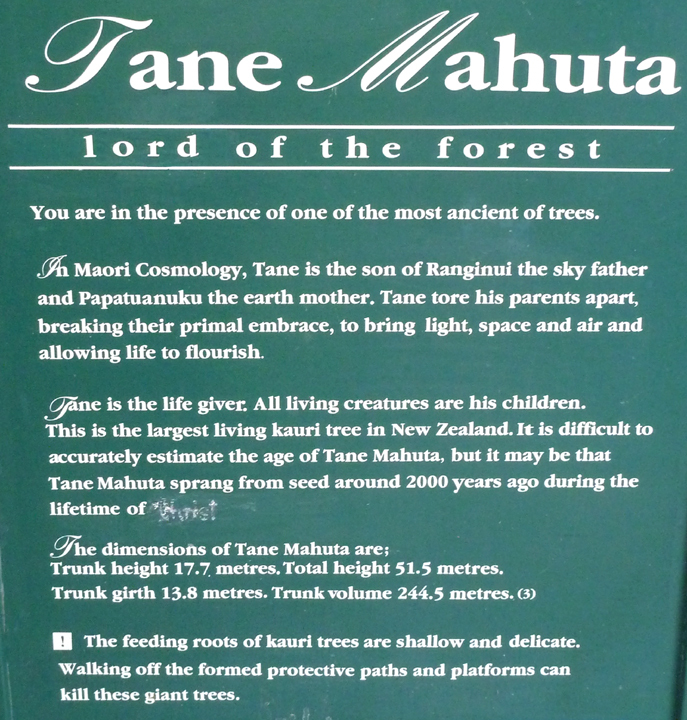 Tane Mahuta, New Zealand’s largest living kauri tree located in the Waipoua Forest. 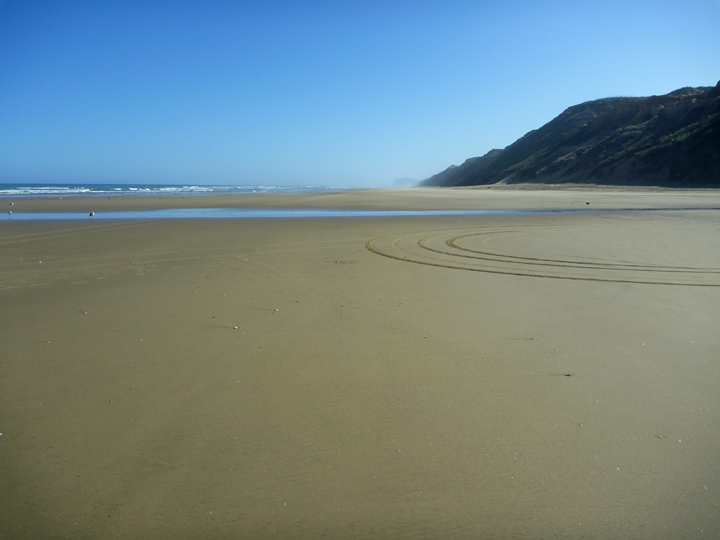 You may drive on Baylys Beach, but the fascination with doing so eludes us. 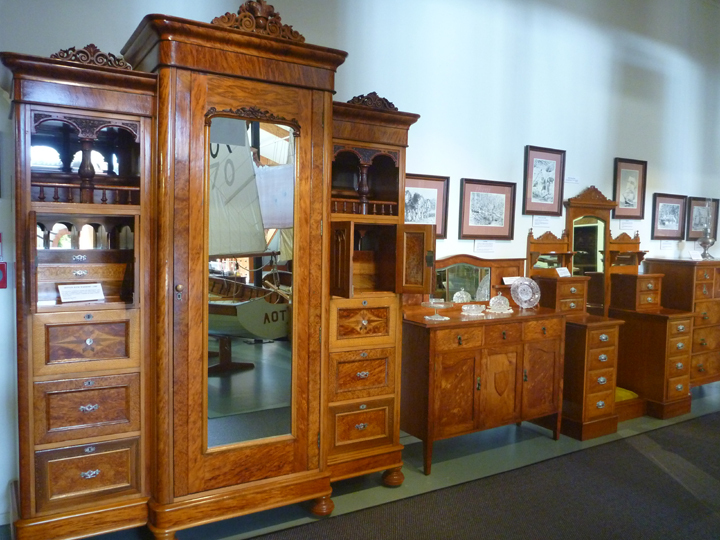 Exquisite furniture made of kauri wood at the Kauri Museum in Matakohe where we spent a very pleasant and informative afternoon. Not sure what caused this die-back, but it looked interesting in the diffused morning light. 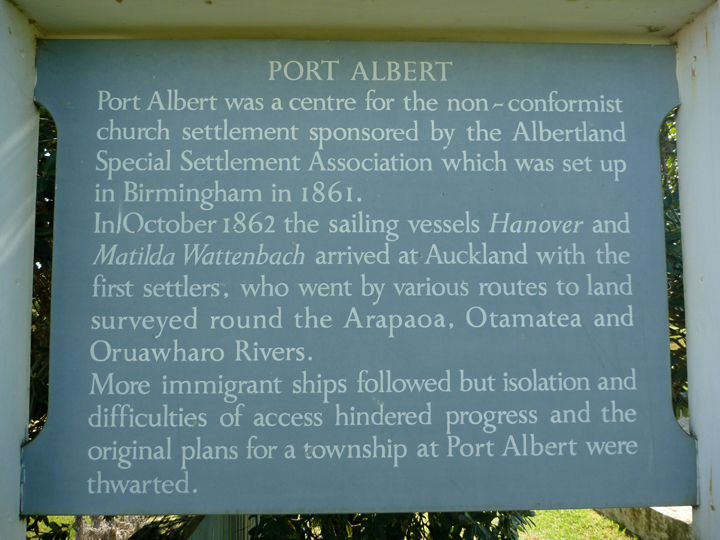 As I reviewed the map for our next day’s travel, I spied a notation for the “Albertland Museum” along our route. You know we just had to check that out. Seems like a lot of fuss over a township that was never actually realized. 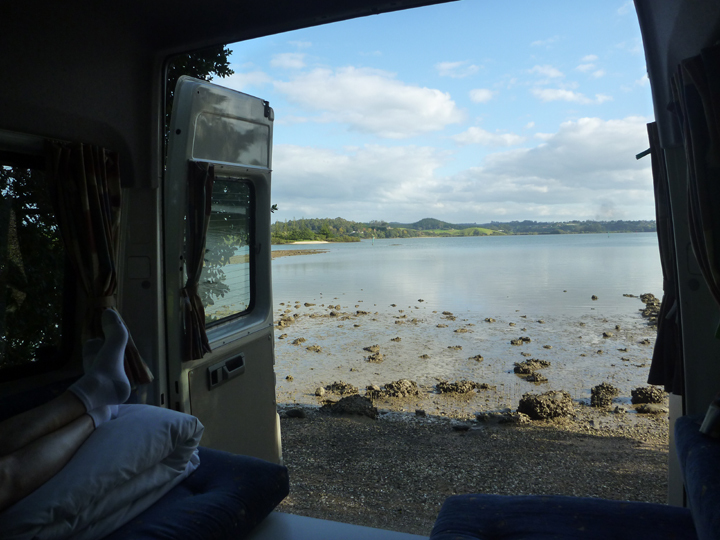 We soon completed our Twin Coast Discovery Highway tour in Auckland where we turned in our rented campervan, “NOThaRVy,” and got ready for our long flight back to SoCal. 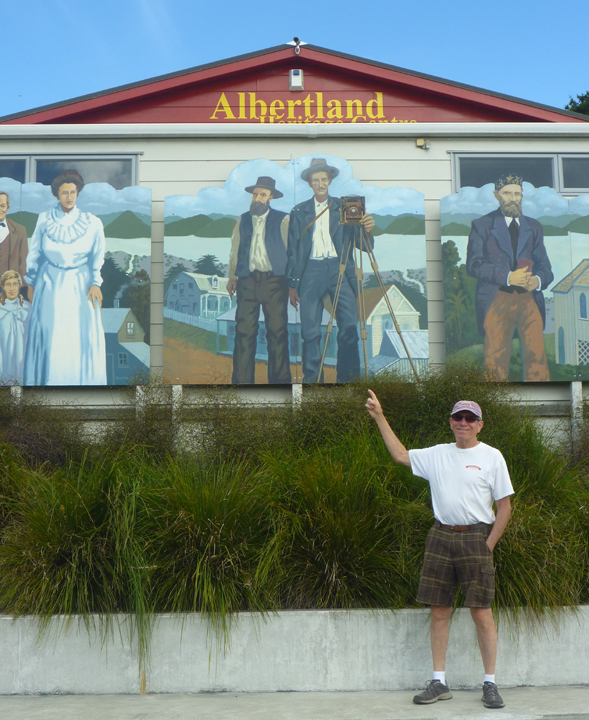 Al capably drove nearly 4,000 miles on narrow, winding roads, nearly circumnavigating the country, from the southern tip of South Island to the northern reaches of North Island. I handled the roles of navigator, cook, and chief bottle washer. 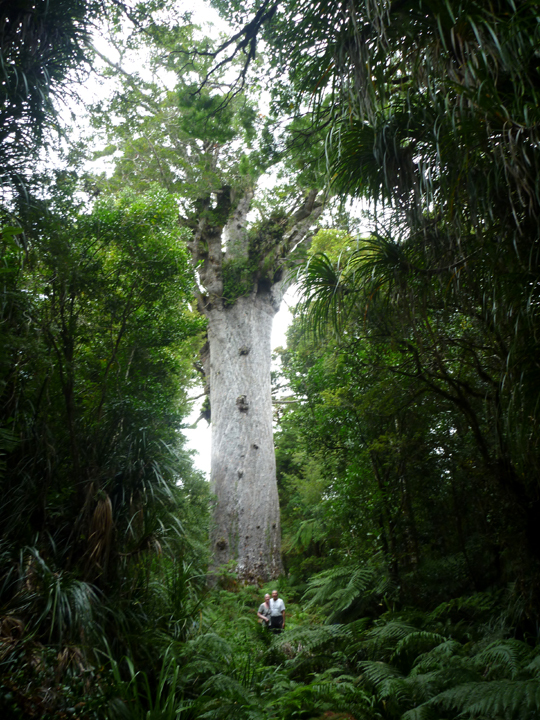 They call NZ a small country, but even with over 9 weeks to spend, there is still much more we could explore. If you are thinking of visiting, either plan plenty of time or narrow down your areas of interest. 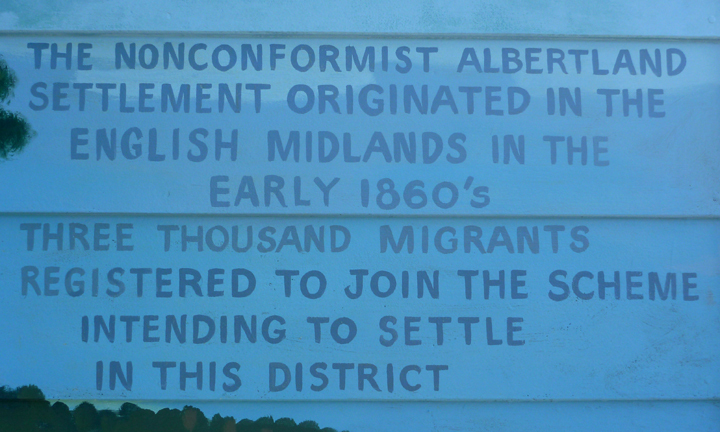 nonconformist Albertland settlement?! that’s perfect!